Start your custom formula today! As a supplement line, it’s important to ensure that you are keeping up with the latest trends while also providing the products your target audiences are looking for. Because JW Nutritional is rooted in protein and bodybuilding supplement manufacturing, we are able to provide our clients with a variety of the hottest muscle building supplements on the market. 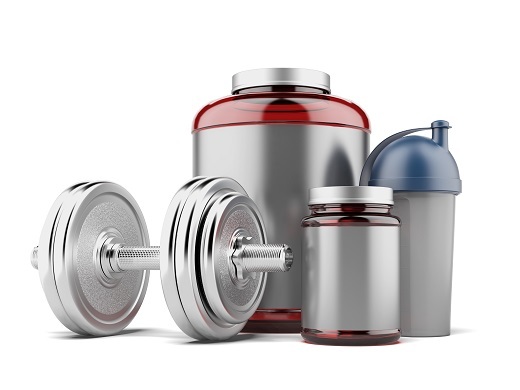 In this article, we will show you the top 5 muscle building supplements for 2019 that are available from JW Nutritional. It’s had to make a list of muscle building supplements without including protein powders. With research on whey protein dating back to the late 1800s, it’s no surprise that this supplement has stood the test of time. For any bodybuilder that is unable to reach their target protein goals throughout the day, protein powder is one of the most essential supplements they have at their disposal to build lean muscle mass and recover from strenuous exercise. BCAAs, or branched chain amino acids, are the building blocks of protein and function to reduce the amount of muscle breakdown that may be occurring in the body. The amino acids deliver by these muscle building supplements include valine, leucine and isoleucine. BCAAs can also help improve muscle gain and maintenance because they play an important role in protein synthesis. As one of the most studied supplements in history, Creatine has established its place as one of the safest and most effective muscle building supplements available on the market. Because so many different clinical research trials have been done on creatine, we know that it may help improve mass and body composition while promoting strength and power for bodybuilders that are actively lifting weights. You would be hard pressed to find an athlete or bodybuilder that doesn’t regularly use a pre-workout to increase the intensity of their workouts. Available in both stimulant-heavy and stimulant-free formulations, pre-workout supplements can often be tailored to meet the unique needs of your target customers. For the most impact, try to create a pre-workout that stands out among the competition currently available to capitalize on this growing supplement market. Generally considered one of the most sought after muscle building supplements available on the market, test boosters often utilize natural ingredients to boost free testosterone and encourage muscle growth. Testosterone is often considered the master hormone for muscle growth and, unfortunately, men will begin to experience a loss in testosterone at an early age. By correcting this deficiency, they can not only preserve muscle mass but build new muscle in the process. Why JW Nutritional for Supplement Manufacturing? JW Nutritional can manufacture a wide variety of supplements to suit the needs of your customers. With the inclusion of our complete packaging solutions including bottles with lid closures, sachets, stick packs and zip-seal bags, clients can receive a complete product that is ready for order fulfillment. If you are interested in the vitamin manufacturing services we offer, please contact us today! Next Next post: What Makes a Contract Manufacturer Right For Your Business?